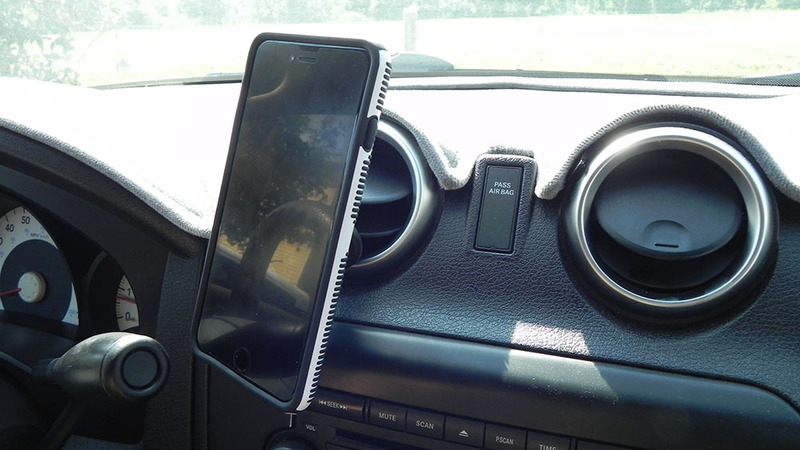 For those who use a smartphone for music, navigation, or other uses while in a vehicle most likely have a mount of some sort for it. 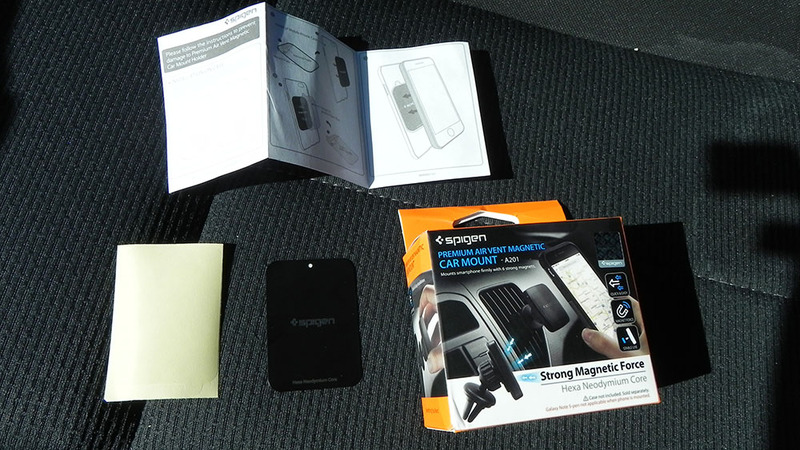 There are many options available, including one by Spigen that uses a magnetic plate for easy mounting and removal of devices. Named the Premium Air Vent Magnetic Car Mount, this $12.99 accessory on Amazon is perhaps the best mount around. Everything you need to get going are included in the simple packaging. 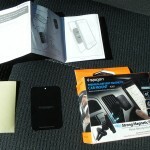 This includes two device protection films, two magnetic plates, and the actual mount. While an instruction manual is included, the installation processes is quite self-explanatory. First, place a protection film on the back of your device. Then, mount a magnetic plate on top of it. 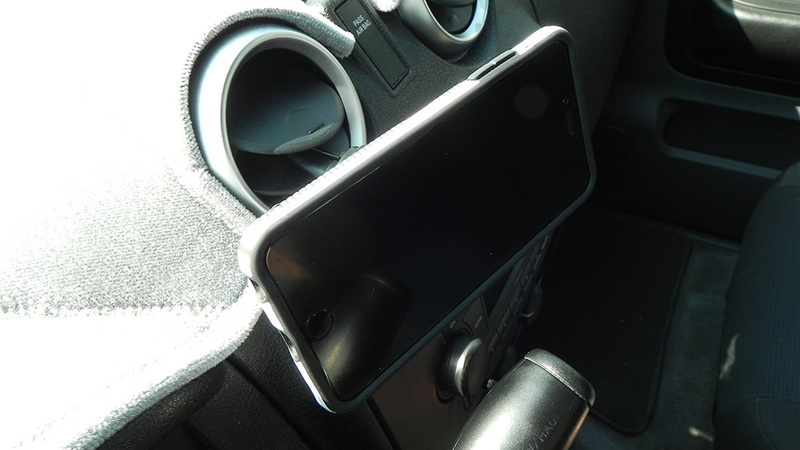 If your smartphone uses a case, it may not fit over the device when the magnetic plate is installed. Fortunately, my Speck CandyShell Grip works perfectly with the case, though the case bulges on the back ever so slightly. I also tried it with an ultra-thin snap-on case, and it surprisingly didn’t appear to affect the case whatsoever. 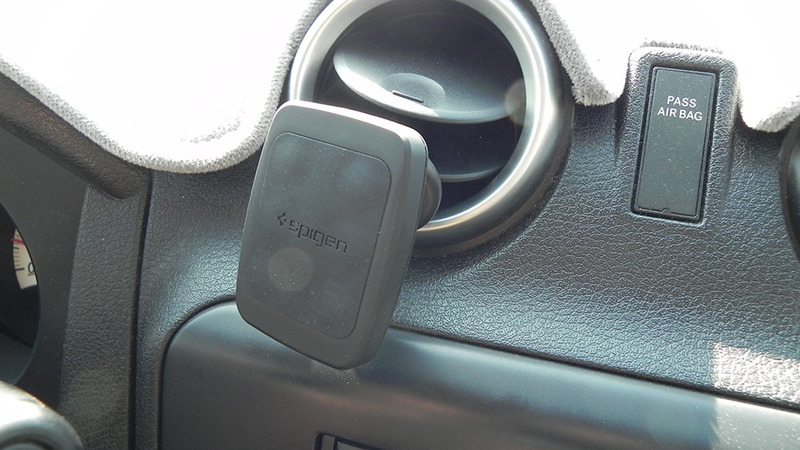 With those basic steps out of the way, you can mount the holder onto an air vent. 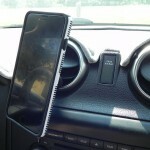 The end of the mount is extremely grippy, and can stay put with ease, even over rough bumps. The mount head can also pivot so that everything is facing you at the optimal angle. 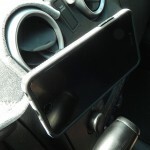 Even with a case, your device should stay mounted extremely well in both portrait and landscape orientations. One additional benefit that had me interested in this prior to purchasing it is that, since my device is now directly in front of an air vent, it will stay extremely cool when using an air conditioner. 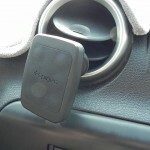 This prevents the screen brightness from greatly dimming due to excessive heat, which used to happen regularly for me. With this air vent mount, my screen brightness will stay at 100% at all times, with no overheating issues to be concerned about. 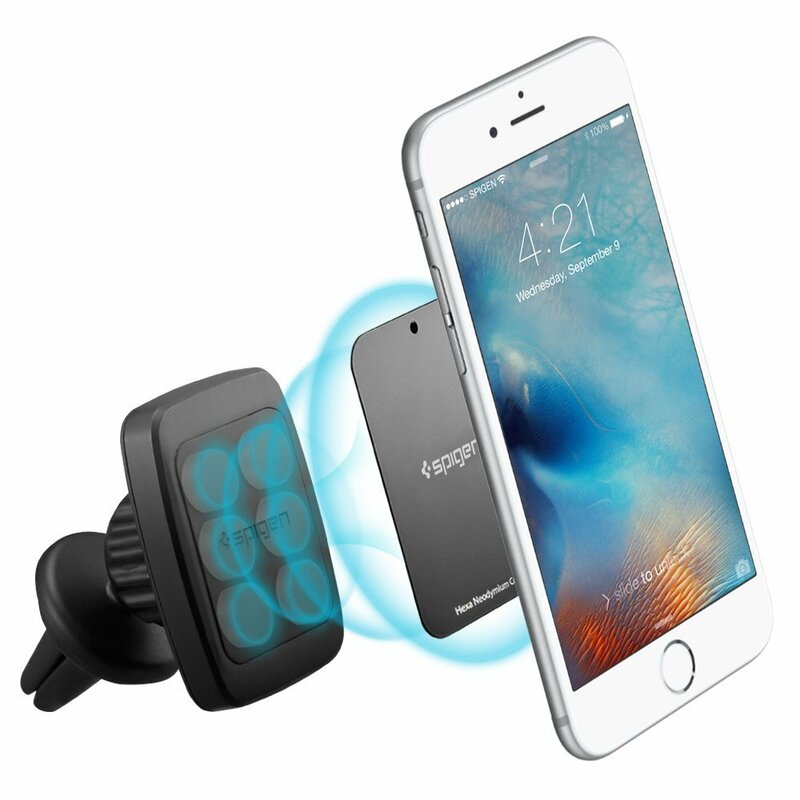 Also prior to purchasing this, I was concerned over whether the magnetic plate and the actual magnetic mount would affect cellular signal. Luckily, there’s no affect on this whatsoever. For $12.99, I couldn’t be any happier with this mount. Even if its price were higher, (say $24.99), I would never hesitate to recommend it. It’s truly a simple product that executes its goal perfectly.